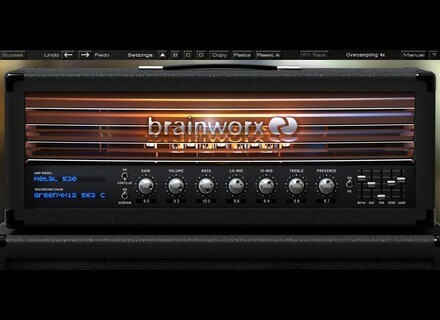 bx_rockrack, Software Amp Simulator from Brainworx. 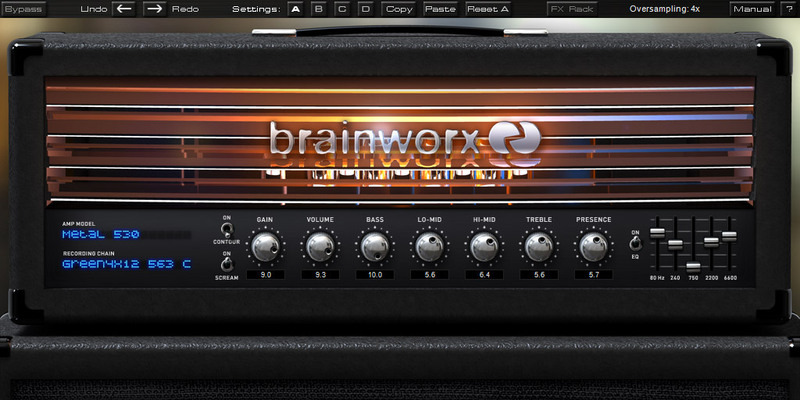 The only problem, if it is because the plugin called Brainworx rockrack .. so the tone is that some sounds will be more or less easily accessible. It is rather in the spirit of Softube (metal amp room), ca is not everything but it does very well. There bcp less amps available than the competition (even if we often buy more like AmpliTube 3) and quite a few cab and mic available at this time .... there will probably updates in the future ... it says if you do not seek a particular sound and we just want a good clean / crunch / distortion, all relatively versatile anyway, preferably in a register jazzrock / rock / metal , regardless of whether it sounds like this or that amp .. this is an excellent choice.